Precision Tax, Inc. is a Redlands, CA accounting firm that provides outstanding QuickBooks™ accounting services to each of our small business clients. Whether you're looking for QuickBooks setup, installation or even on-site training, we're ready to deliver the support you need. We can travel right to your office to install your software or provide personalized training. And we’re only a phone call away when you need assistance to troubleshoot a problem or just have a question. Don’t struggle to use QuickBooks when Precision Tax, Inc. has highly trained Certified QuickBooks ProAdvisors® ready to assist you. Request a free consultation today to discuss how using QuickBooks can help your business save valuable time and be more productive. Call us at 909-307-8844 today to get started. With more than 30 years of experience in accounting and taxation, Jackie makes it possible for our clients to achieve their business goals with her technical support and accounting knowledge. She started her career in private commercial accounting while gaining valuable exposure to cost accounting as it relates to the manufacturing industries. In 1991, to further her experience in accounting she left the private sector to pursue public accounting by acquiring her accounting degree from Citrus College and working for different CPA firms for several years. In 2001, after building a successful home-based tax service, she moved the company to a professional office building located in downtown Redlands. In order to provide accounting and software assistance to business clients, in 2005 Jackie acquired and currently maintains a QuickBooks ProAdvisor license from Intuit. This license requires continuing education and exams to remain proficient and up to date on the latest versions of QuickBooks and the related accounting procedures. She is also the founding director and officer of Precision Tax since the firm incorporated in 2006. 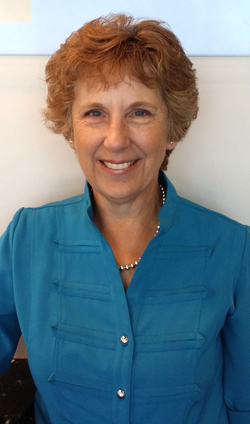 In addition to accounting experience, in 1992 Jackie successfully passed the difficult enrolled agents (EA) exam that allows her to represent tax clients in front of the IRS. In order to maintain this special EA tax license, 40 hours of continuing education in the fields of individual and business taxation are completed each year. Along with her expertise as a tax preparer and consultant, she currently continues to take accounting courses at California State University San Bernardino to keep up with latest computer and accounting procedures. When Jackie is not working she enjoys going for a walk with her husband and their dog. A motorcycle ride to Big Bear with her husband and son might be a typical Saturday road trip. Camping at the beach with her daughter and son-in-law is always a favorite or sometimes when she has time, to just settle down and read a good book. 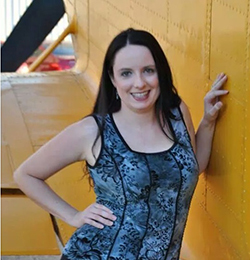 Dana is a staff accountant at Precision Tax and has been with us since 2001. She is also a QuickBooks ProAdvisor and has successfully passed the difficult IRS Enrolled Agentexam to obtain her EA tax license. Dana graduated from California State University SanBernardino with a bachelor’s degree in Chemistry and a minor in Criminal Justice. In addition, Dana returned to CSUSB to take further business and accounting courses that will be counted towards a Master Degree in Business. Her goal for the future is tobecome a tax attorney. In her spare time Dana is the CFO and co-founder of Olive Branch Parrot Rescue, a local non-profit charitable organization. She enjoys working with the parrots to rehabilitate them for adoption and placement while providing education to the general public. When she is not working with parrots, she is working with her husband on home renovations and their small hobby farm. 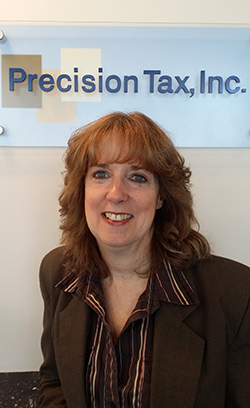 Donna joined the staff of Precision Tax in 2002 after receiving her accounting certificate from Crafton Hills College. She is a full-charge bookkeeper and has been a CTEC registered tax preparer since 2007. In addition to preparing individual tax returns, Donna is also in charge of payroll and property tax return preparation. Donna loves spending time working, playing, or just relaxing with her husband, children, and grandchildren. She enjoys listening to classical music and spending her spare time playing the piano and organ, reading, cooking, baking, sewing, and gardening.